January 12, marks the 47th birthday of the Wu-Tang Clan’s most fly and luxurious member, Raekwon. But he’s the one giving the gift out to the fans, as he’s taken to social media to make good on his promise that his new music would be arriving for the new year. Officially unveiling The Wild as his seventh studio album, the artwork (created by Dan Lish) depicts the Staten Island rap legend in an urban concrete jungle of sorts, towering over personified animals. Early reports also claimed the album was to be released on March 10, 2017 but The Chef debunked those rumblings on Twitter. “FYI album date will be released on a later date it’s not March 10th and also my middle name ain’t Quontrell either lol,” he wrote, with the latter being a reference to his Wikipedia page. One thing’s for certain, however. The LP will be released through ICEH20/Empire Records. Peep below for Raekwon’s The Wild cover art. After a quiet 2016, Wu-Tang Clan’s resident chef Raekwon will be back cooking with new music next year, according to a post on his Instagram account. “LP IS DONE !!!!! #blades is sharpened. # 2017 release litted !!!!! I will always appreciate real rap…..#factual” he wrote in the caption of a shot of himself getting a trim from the barber. This new LP will be Rae’s seventh solo studio effort since his Only Built 4 Cuban Linx… debut in 1995. Since then he’s also dropped more than a dozen mixtapes, as well as the Wu-Massacre collaborative album with Ghostface Killah and Method Man in 2010. That album featured guest spots from Ghostface Killah, 2 Chainz, Snoop Dogg, Busta Rhymes, French Montana and A$AP Rocky, among others. So far, Rae hasn’t released any feature details on the upcoming project, though he toured with Ghostface over the summer and his IG shows him pictured with producer/record exec/turntablist A-Trak and, uh, Justin Bieber. 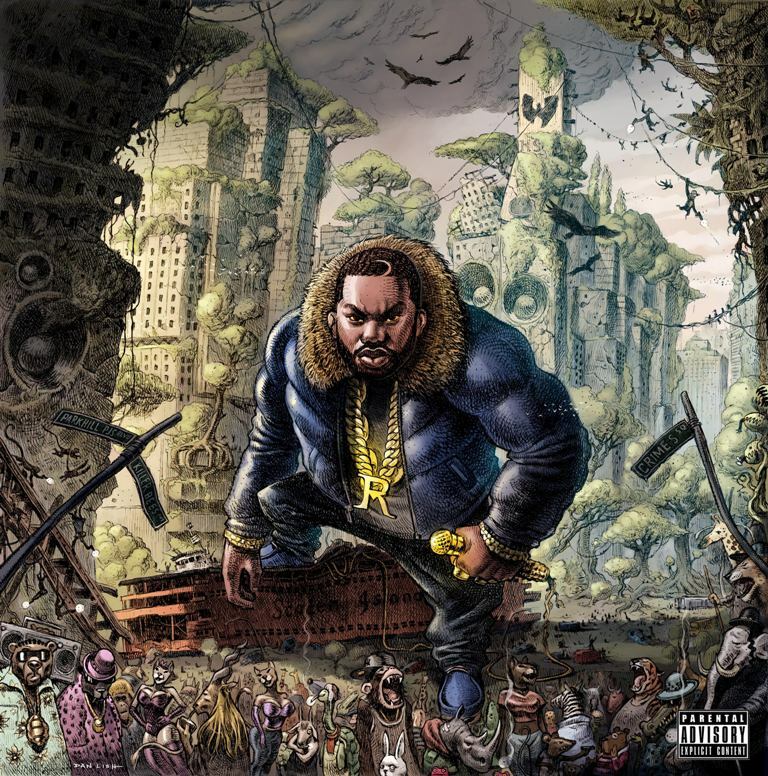 Share the post "Raekwon Unveils “The Wild” Cover Art"